Appliance Home Service Houston is a best-in-class appliance repair company, specializing in refrigerator repair, small, and large appliance repair in the Greater Houston Area. If you have specialty appliances such as an ice maker or wine refrigerator, we fix those also. Over the years, we’ve repaired countless makes and models of refrigerators. We are very proud of our long-term A+ rating with the Better Business Bureau. Providing timely, affordable, and quality work is our promise to you. We always stand behind our work. 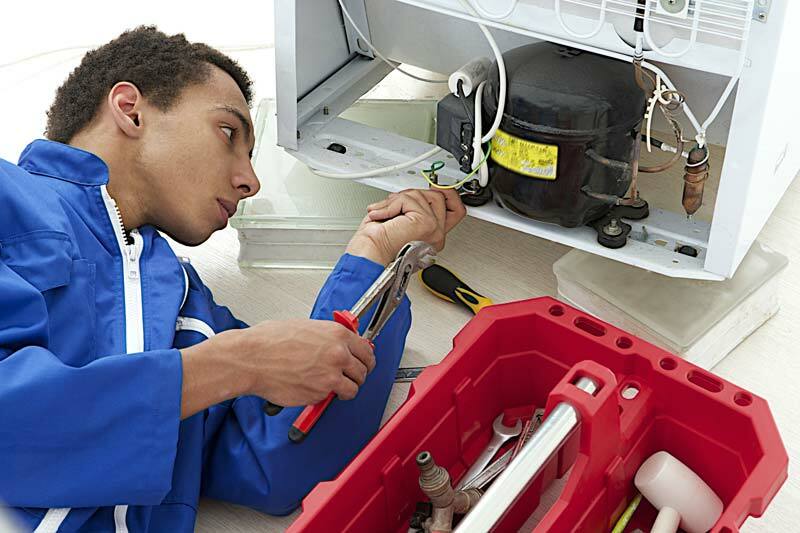 Most of our clients entrust all of their appliance repair work to us. 4It is making an ongoing noise that doesn’t sound right. We know that your refrigerator is a long-term investment. We will do everything possible to get it running properly at a repair price that makes more sense than having to replace it. Don’t worry; these are all issues that we can fix for you today. Here is a list of the five most common causes of refrigerator malfunction. Overload and Relay Failure – This can cause the compressor not to run and completely stop any and all cooling. Cold Control/Thermostat Failure – This can lead to erratic and inefficient cooling. Drain Stoppage – This is usually the case if you see water at the bottom of your refrigerator or an ice sheet in the lower part of your freezer. Reliable, friendly and knowledgeable appliance repair professionals. We are A+ rated with the Better Business Bureau. High-End refrigerators – We fix all makes and models including Sub-Zero and other higher end makes. Refrigerator repair on all major brands and models. We’re family-owned, and we treat our customers like family. When your refrigerator isn’t cooling or operating properly, we recommend that you call the refrigerator repair experts at Appliance Home Service to fix your refrigerator today. We are a long-standing and proud “A+” member of the BBB.